www.ifxexpo.com (‘The Website’) is published and fully owned by ULTIMATE FINTECH PTE. LTD. with its registered office at 7 Florinis Street, Greg Tower, 2nd Floor, 1065 Nicosia Cyprus. iFXEXPO Asia and iFXEXPO International are events owned by ULTIMATE FINTECH PTE. LTD. iFXEXPO International is exclusively produced by ULTIMATE FINTECH PTE. LTD, a Private Limited Company Registered in Cyprus, Reg. Number ΗΕ391698. ULTIMATE FINTECH PTE. LTD. is the organiser of iFXEXPO Asia and iFXEXPO International. These Terms and Conditions are provided to you and concluded in English only. These Terms and Conditions may be modified or amended without prior notice to you and your continued use of 'The Website' will mean that you accept these changes at the time of use. We may update the content or make changes to this website at any time. Any such updates or changes are subject to these Terms and Conditions. If any of the content on our Website is out of date, we are under no obligation to update it. We cannot guarantee that our Website or any content contained on it, is free from errors or omissions. No guarantee, is given as to the accuracy or completeness of any content on our Website and neither we or any employees of our company accept any liability or responsibility in respect of the content information provided. Please read these Terms and Conditions carefully. These Terms and Conditions apply to your use of this Website. You should check these Terms and Conditions each time you access the Website. By using this Website you confirm that you have read and accepted these Terms and Conditions. By proceeding you agree to the exclusion by us of any liability, including without limitation that arising from any loss of profit or any other damage direct or consequential, in respect of any errors and / or omissions by us and / or any relevant third parties in respect of the content. You must not use this Website or any services available via it if you do not accept these Terms and Conditions. "We" "Us" or "Our" means iFXEXPO Inc. / ULTIMATE FINTECH PTE. LTD.
"You" and "Your" means you, the person engaging with us, registering for our events and / or services or visiting our website. "Event" means the individual event or events advertised on our Website for which passes are available. "Pass" or "badge" means rights to admission to the event. The company accepting payments is ULTIMATE FINTECH PTE. LTD. a Private Limited Company registered in Cyprus, Reg. Number ΗΕ391698. Payments are processed either on www.ifxexpo.com or on the payment provider's website using a secure SSL connection. We reserve the right to alter, suspend or discontinue any aspect of our Website and / or the services we provide through it. This includes your access to it, without notice. We do not guarantee that our Website, or any content on it, will always be available or be uninterrupted. We will not be liable to you if for any reason if our Website is unavailable at any time or for any period. You must inform us of any changes in your personal details including but not limited to address, contact phone number or email address, both before and after receipt of your pass. You agree to provide us with a current, valid email address and we recommend that you regularly check your junk folder as your email filter settings may treat our emails as spam. Our events are open to business professionals only. Minors and members of the general public will not be admitted. Passes which allow admission to events can be obtained in advance after registering via 'The Website'. Any order for passes is not complete until accepted by us. Once your registration has been accepted, you will receive your confirmation email and bar / QR code for your pass. Each registered Pass (whether purchased or free of charge) is valid for only 1 attendee. All passes are named & cannot be exchanged once they have been purchased. The resale of passes is strictly prohibited. We reserve the right to cancel any passes that have been resold. If you attempt to resell or transfer a pass, your registration and pass will be invalidated, you will be refused entry to the event, we will retain any payments made by you and we reserve the right to ban you from any future events. Counterfeit or copy of passes is strictly prohibited. We reserve the right to cancel passes which we reasonably suspect to have been acquired fraudulently. We recommend that you print your confirmation and bar/QR code and bring it with you to the event. On arrival at an event you must be able to provide a copy of your registration / barcode / your name and photographic identification. A valid photo identity card bearing your signature may be requested which must match the name on the pass / badge at the entrance. You will then receive your named badge at the registration area. You must wear this badge at all times during the event to be allowed into all events. We reserve the right to refuse any person admission to the Event and the right to remove any person acting in breach of these Terms and Conditions. By completing the registration on behalf of another person i.e. a colleague or employer, it is your responsibility to ensure the person attending is aware of these Terms and Conditions and accepts them. Your registration entitles you to admittance to the Event for which you have registered. We have no liability for any and all other costs associated with your attendance or personal arrangements including (and without limitation) travel, accommodation or hospitality expenses relating to the Event which are arranged by you and are at your own risk. You are strongly advised that you check event details including the proposed venues published on our website before travelling to an Event. You must be 18 years or above to be eligible to register for any of our events. You must also comply with any age restrictions which apply to the venue where any event is being held. We reserve the rights to record, film and photograph / permit approved third party recording, filming and photography across our events. By registering for and attending our event you acknowledge and give consent to be recorded, filmed or photographed and you permit us and any approved third parties to use any footage or photographs taken and to distribute, broadcast, use, such media without any further approval from you or any payment to you. It is your sole responsibility to arrange for any necessary visas required for travel. We do not under any circumstances contact embassies or consulates on your behalf or provide any assistance relating to visas. You will not be entitled to a refund for a paid pass if you fail to obtain a visa in advance of an event. If you require an entry visa you must allow adequate time for the application process. We advise that you contact your nearest embassy or consulate for advice. Passes which are chargeable, can be purchased via The Website using the accepted payment methods i.e. a valid credit card / debit card issued in your name. You will provide valid credit card / debit card information. When you provide credit card / debit card information, you authorise a Payment Service Provider to charge such credit card / debit card for the amount payable which will be clearly shown upon purchase of your pass(es) and you are consenting to your financial and/or personal information being passed to any third party organisations necessary to process your transaction such as credit card companies or banks. If payment is insufficient or your transaction is declined for any reason we may refuse to admit you to the Event and shall have no liability in that regard. The total price displayed will include the price of your pass(es), including VAT in (€) Euros. We try to ensure that all prices are accurate but errors may occur. You are responsible for any Currency Conversion Fee and all costs of currency conversion imposed by your credit / debit card issuer and we have no liability to you for that currency conversion.  Prices for iFXEXPO passes may change at any time and no refund is payable in the event of a price reduction or promotional discount. Fees paid are strictly non-refundable. If you lose your badge or pass, a fee may be charged in order to issue a replacement. When purchasing a paid pass using a credit card or debit card, your chosen payment method will be charged by a Payment Service Provider to process your transaction via a secure server. Any order for passes is not complete until accepted by us. Only once you have received your confirmation email and barcode for your pass will your registration be deemed as valid and accepted by us. All delegates will be charged Cyprus VAT (19% for events) regardless of their country of residence. The VAT amount is already included in the price of the pass(es). Under EU law, the event comes under the ‘supplied where performed’ rules. This means that the activity is taxed at the place where it is physically carried out. For further details please refer to European Commission web-site. This website covers EU legislation. The area of the legislation that is relevant for these services is Article 53 & 54 of the VAT Directive under EU Law. The above links are to external websites and iFXEXPO cannot be responsible for the content and the accuracy of any information contained therein. Please check with your accounting department whether you are entitled to claim the VAT amount back. Several methods of payment are accepted, such as a valid credit card or debit card, including American Express, Visa or MasterCard. Please note that payments cannot be split between multiple cards. Payment is also possible by bank transfer on request. (1.) An event is cancelled. (2.) An event is re-scheduled (moved to another date). (3.) The venue or location of an event is significantly changed after purchase. Only the face value of the pass will be refunded if (1. ), (2.) or (3.) occurs. If an event is cancelled or if the event is re-scheduled (moved to another date) or if the venue or location of an event is significantly changed after purchase we will contact you as soon as possible by email using the details you have supplied. We cannot be held liable if you do not receive this notification because you have supplied us with an incorrect email address or because you have failed to update the email address that we hold for you. We also cannot be held liable should your email filter settings block or divert our emails to your spam or junk folder. If we cancel the event you will normally be offered a refund. If our event is rescheduled, or the venue or location of an event is significantly changed after purchase, we will usually give you the option of retaining your registration for the re-scheduled event (new date) or changed event (new venue or location) or alternatively claiming a refund of the face value of the pass. If for reasons of Force Majeure, (including but not limited to an act of God, war, strike or fire) the event cannot take place as scheduled we reserve the right to reschedule the event to a date and place of our choosing. If for any reason you are entitled to a refund, you must notify us via email with your registration details and a copy of your photographic identification within 14 days from the date of the cancelled event. Any refund will usually be paid, using the same payment method used to purchase your pass, within 30 days of the original date of the event or the date that we receive your request for a refund, whichever is later. If you do not notify us that you wish to obtain a refund, or you do not notify us within the times set out above, you will be deemed to have chosen to retain your registration and you will not be entitled to a refund. Passes cannot be refunded once purchased other than for the reasons set out in these terms and conditions. No refunds will be offered under any circumstances if you fail to comply with these Terms and Conditions. The right to admission to an Event is reserved by us and the event venue. We take health and safety, environmental and security concerns seriously and may carry out security searches for the safety of those attending the event. You and your belongings may be searched on entry to the event. Passes are issued subject to the rules and regulations of each venue. You must comply with all relevant rules and regulations. We reserve the right refuse entry or to remove you from any event if your presence or behaviour creates a disruption to our event and no refund or other compensation will be provided to you. Are under-age (or appearing to be under-age and failing to provide proof of age). If you decline to be searched by security. If you are abusive or engage in threatening, drunken or antisocial behaviour. Are smoking in no smoking areas. If you are carrying offensive weapons. If you are carrying illegal substances. If you engage in unauthorised audio, video or photographic recordings. Animals are strictly prohibited at any event. We accept no responsibility whatsoever for any personal property taken to an Event or for any loss or damage of any kind suffered at an event, including loss, damage or theft any personal property. Our Website may contain content and links to other websites that are operated by third parties. We do not control these third party websites (including whether or not they store cookies) and our Terms and Conditions do not apply to them. These links are provided to you as a convenience only, and the inclusion of any link does not imply endorsement by us of the site or any association with its operators. We are not responsible for the Terms and Conditions or practices of any third party sites linked to this website. We will not be liable for any loss or damage that may arise from your use of them. Please consult the Terms and Conditions and Privacy and Cookies Policy of the relevant third party website. Consequently, we advise you to contact those sites directly and to read their Terms and Conditions, Privacy and Cookies Policies before submitting data to such sites. If you have accessed our website using a link from another site, we do not accept any liability or responsibility for the accuracy of information contained within the sites of other providers who have links to any pages of this site or to whom this site is linked. All website material and content, including information, graphics, code, text, design, images, artwork, photographs, audio and video clips is owned by us or the providers of such information. All rights are reserved. There must be no reproduction or distribution of any of this material without prior consent. You may print and download extracts from our Website for your personal use only. The names of companies and products mentioned on this Website may be the trademarks of their respective owners. You may not use any Trademarks, Trade Names or Logos displayed on this Website or which appear at the Event for any reason without the prior written permission of the respective owner. All intellectual property rights in the event, the event content and all materials distributed at or in connection with the event are owned by us or the event sponsors, exhibitors or speakers presenting at the event. We do not guarantee that our Website will be secure and free from viruses or anything else which may have a harmful effect on any technology. You must use your own virus protection software when accessing our website on your device. Misuse our Website by knowingly by introducing viruses, trojans, worms, logic bombs or other material which is malicious or technologically harmful. Any breach of these provisions would constitute a criminal offence by you and we will report any such breach to the relevant law enforcement authorities and we will co-operate with those authorities by disclosing your identity to them. In the event of such a breach, your right to use our website will cease immediately. We reserve the right to terminate your access to this Website and / or your registration immediately and without notice and invalidate your pass so that you will be refused entry at the venue if you breach any of these Terms and Conditions. If any provision of any of the Terms and Conditions on this Website is held to be unlawful, invalid or unenforceable, that provision shall be deemed severed and the validity and enforceability of the remaining provisions of the terms and conditions shall not be affected.